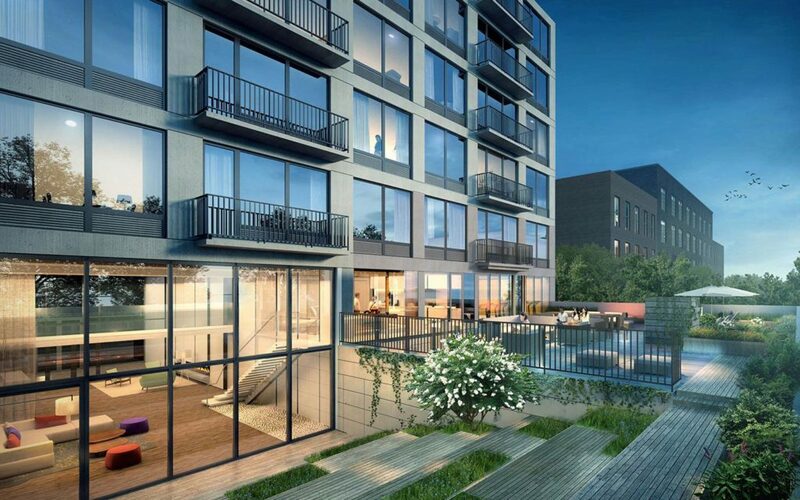 The Naftali Group has sold The Bergen, a new luxury apartment building at 316 Bergen St. in Brooklyn, NY, to a private European investor for $52.2 million, or about $621,000 per unit. Opened in May 2014, the eight-story, 54,697-square-foot multifamily property is located in the Boerum Hill submarket of Kings County, near trendy Atlantic Avenue, Prospect Park, a number of transportation options, Brooklyn Academy of Music, Barclays Center, and the recently-opened Whole Foods. It is comprised of a mix of studios, one-, and two-bedroom apartments with spacious interiors designed by ODA Architecture, and features a distinct lobby under 84 units with condo-like finishes and amenities including a fitness center with outdoor yoga space, private storage, landscaped rooftop deck, doorman and concierge, and on-site valet parking. Woody Heller, Will Silverman, and Eric Negrin of Savills Studley represented the seller.